The challenge was set. 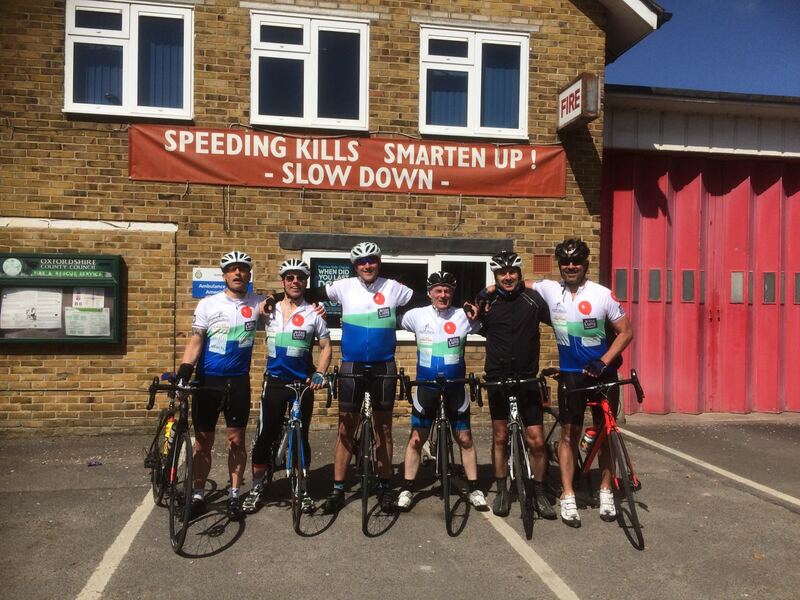 The PEAKY Training Officer, Mr Mark Crick, had organised a team training day that would take in all 13 of the steepest climbs locally to the PEAKY CLIMBERS. 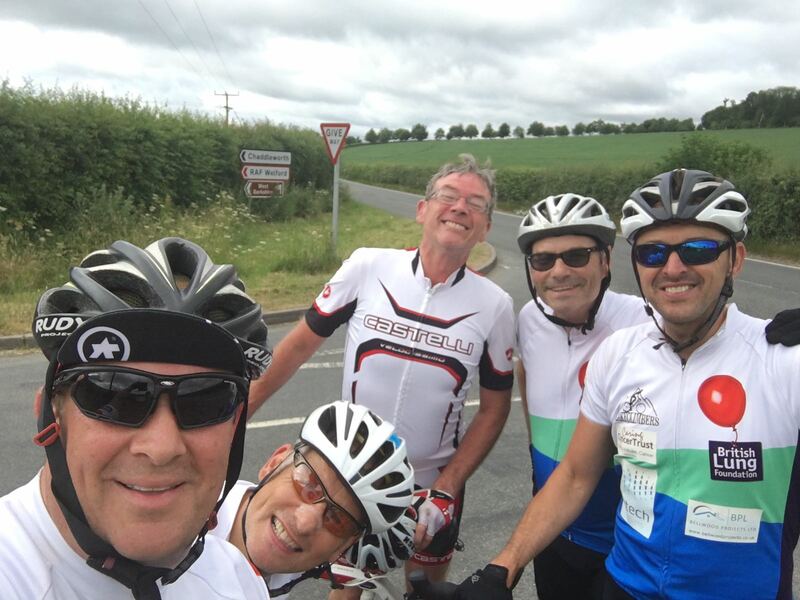 With JB away, speeding down the autobahn in Germany to a cycle event and Simon still salivating online looking at dodgy websites about £7,500 Pinarello’s it meant that 6 of the team were ready to take the 13 Beast Challenge on. Ben, Nobby, Cricky, Alan, Stewie and Macca met at the Fox in Denchworth at 8am and were joined by 2 honourary members for the day, Adam and Matt. This challenge has been named the ‘sharktooth’ route by some, not many, but those that know it are well aware of its constant up and down across the 57 or so miles…just look at the main image of this blog and the image below– wow! All the guys headed out to Uffington en route to the first small climb, which was NOT even one of the 13, at Woolstone (10% at its steepest)…then on to the first actual climb up Ashbury Hill (average of 7%). This proved to be the usual pecking order of the day with Nobby, plus Adam, up first with Alan close behind followed by Cricky. The rest of the guys, Macca, Ben, Stewie and Matt all followed close behind…or closeish anyway. Great teamwork, great encouragement coupled with an absolutely beautiful morning to go out riding. Matt peeled off after White Horse and Adam peeled off after Sincome…the PEAKY CLIMBERS continued…to the end! 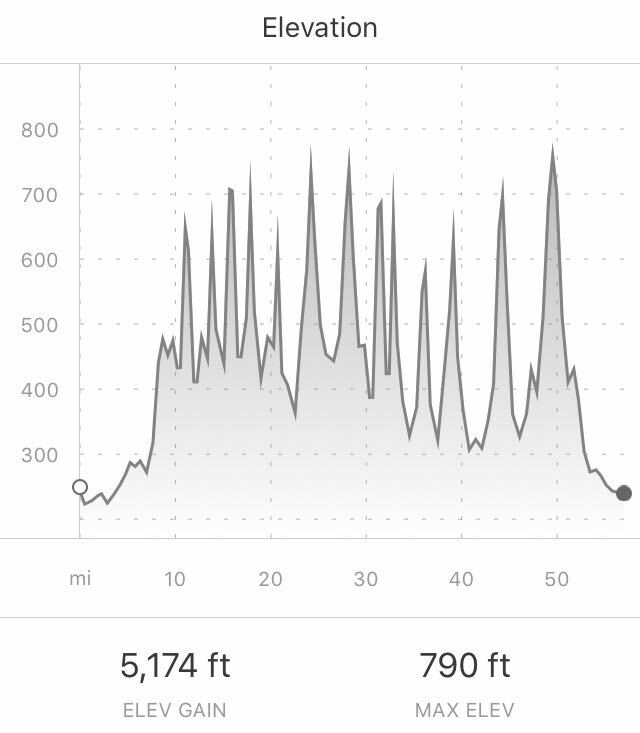 Below is a list of all hills from the ride, completed by all participating PEAKY CLIMBERS, stopping only for a cheeky coffee stop at Court Hill. A tough, but rewarding day. To take on so many steep, relentless hills was great strength building for the legs and cardio training for the guys. Now just over 5 months to go to the big off, we have 20+ weeks of super challenging training ahead of us.